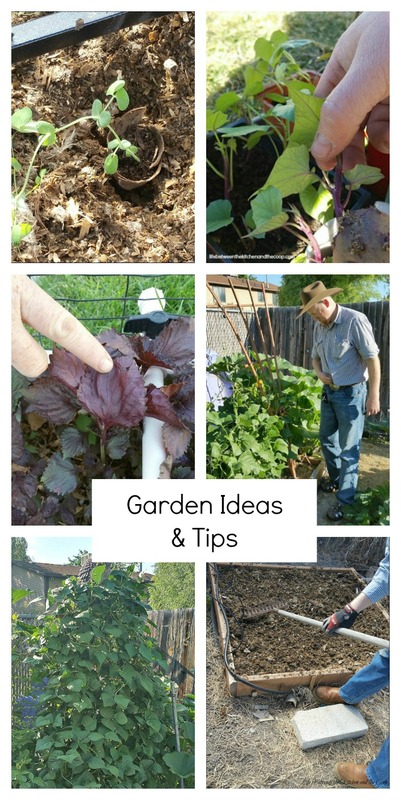 I have collected a bunch of my best garden ideas for you to give you some inspiration for planning, planting, and harvesting your own garden. You can learn how to minimize the weeding that has to be done in your garden, how to plant starter plants and then transplant them, how to build a custom garden irrigation system, and more! I’m sharing some of my best gardening tips with you, along with some helpful gardening product suggestions! Is your garden is your happy place? I’ve got some great gardening resources for you! We all have our favorite things to use when it comes to working in our gardens, don’t we? While browsing for some fun new gardening tools, I found affiliate links to a few really cool gardening products that you might want to check out! I love this cute little garden stool that keeps all of your gardening tools right at your finger tips, don’t you? I think that this electric tiller seems like it would really make prepping your garden for planting easy! I found this great collection of non-gmo heirloom seeds, too! I will keep adding links to this page as I do more garden posts, so be sure to check back from time to time! If you are looking for even more garden ideas, you should definitely check out my Garden board on Pinterest – click below to follow it!